Regular Cleaning will Keep Your Home or Business Looking Fresh! 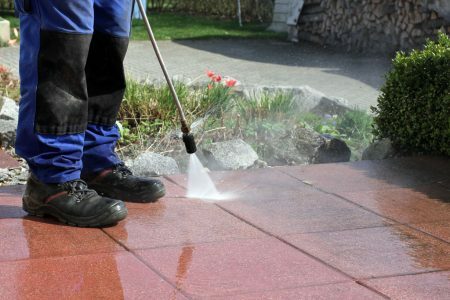 Power washing is ideal for both homeowners and commercial businesses. We use a high-pressure concentrated stream of water spray used to wash away mold, grime, dirt, lichen, dust, loose paint, moss and more from surfaces. Pressure washing your surfaces and buildings helps protect them from damage caused by build-up. This service is perfect in the Spring to beautify your home and get it ready for the warm weather.